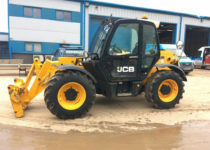 Telehandlers for Sale | JCB 535-95, 535-140, 540-170 . . .
A telehandler can also be called a telescopic handler, a teleporter or a boom lift! This versatile machines is similar to a forklift, but has a boom, which makes it more like a crane than a forklift. 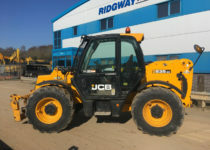 The single telescopic or articulating boom can extend forward and upwards from the vehicle and has a wide variety of uses in both the agriculture and construction industry. 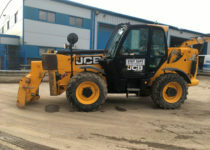 Telehandlers are usually mounted on a four-wheel drive chassis and equipped with a telescopic boom that can provide lift heights to 50 feet or more, our JCB telescopic handlers for sale have a reach of 14 metres.